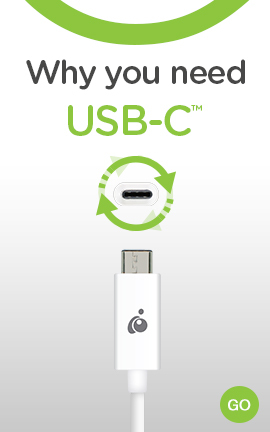 Click here to learn about the replacement product. 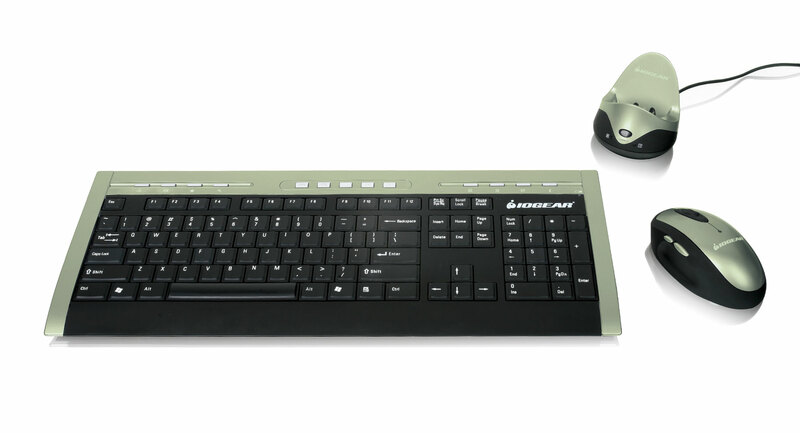 Enjoy the freedom of wireless connectivity with IOGEAR's long range wireless keyboard and mouse combo. 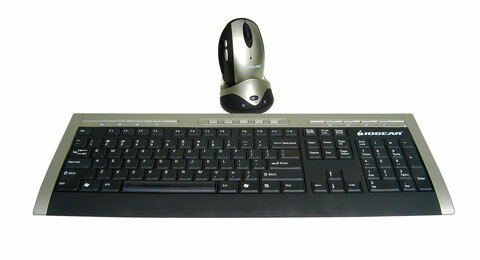 The 2.4GHz ultra-range multimedia keyboard and optical mouse allow you to work up to 33 feet away from your computer. It is an ideal tool for the meeting room presentation, and for the living room home entertainment needs. The newly sleek design, ultra-thin, and low profile keyboard lets you type with style and comfort. 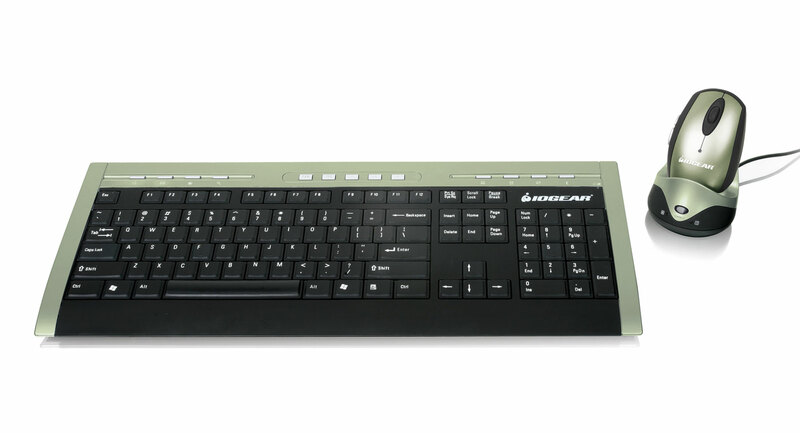 The innovative IOGEAR structure on keyboard provides better tactile feeling and less pressure on your fingers and wrists. In addition, the optical mouse provides great accuracy over most surfaces and minimal hand movement due to its 800 dpi resolution. The 2.4G RF technology is WiFi and Bluetooth friendly, and is able to perform frequency hopping to avoid interference. Control your home entertainment functions with multimedia features on the keyboard. Operating Range 33 feet, 10 m.